X-plore makes it much easier to find, manage, and preview files on your phone. The application provides you with a clearer view of all the files on folders on your device, through a hierarchical tree structure. Browsing files on your Symbian phone can be a tortuous process at times. If you're fed up with the cumber some default file explorer then it's well worth checking out X-plore. Rather than leaving the main list view when you want to explore the contents of a folder, X-plore uses '+' and '-' icons that reveal or hide the folder contents without hiding the contents of the rest of the directory. The display is highly customizable too - you can change the font size and color scheme, choose how to sort files, show hidden files, and more. X-plore lets you perform all the tasks you'd expect from a file manager, such as copying, renaming, deleting, editing, etc. It goes further than most though, facilitating extraction of compressed archives, file exploration within messaging folders, and powerful and reliable search. There's even a task manager that lets you view your running processes. One of the strong points of X-plore is its previewing capabilities. It comes with an audio and video player, and although these are both rudimentary they offer a simple way to quickly check the contents of a multimedia file. X-plore also supports viewing of Word documents and comes with a built-in Hex viewer and editor. All in all, X-plore represents a comprehensive, yet manageable explorer, which will improve the way you handle files on your device. CorePlayer excellent media player. Supports a variety of formats, audio and video playback. Supports a variety of encoding formats, built-in rich decoder. - Core User Interface Common skin hanging (Widget): so you can customize to create your own like user interface. - A variety of audio / video decoder support, similar to the CoreAVC can support high-resolution H.264 video decoding. HTTP, UDP, UDP Multicast, UDP Unicast, RDP, RTP. RTSP, RTCP (keep alive), ASX, ASF, Multicast, HTTP Tunneling. NetQin Mobile Security is a total mobile security solution, protecting your device from viruses, malware and spyware, while keeping your system running at optimum speed. Our award-winning twin-engine technology (cloud + client) provides fast and effective virus scanning and removal to keep your system free of viruses and malware. What's new in this version: Version 5.0 adds Contacts Back-up and Anti-Lost to help you locate your phone. 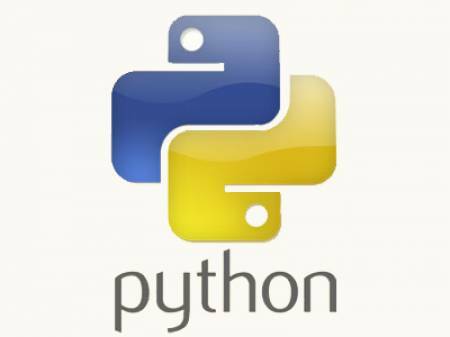 Python is a dynamic programming languagethat supports object oriented programming. *Linux/Unix Windows OS, Mac OS,OS X,Java Virtual Machine,OS/2,Amiga,Palm,Symbian (Nokia). Especially for symbian phones a lot of interesting applications based programming python like Profundity Clean, IDesigner etc. So to be able to use it must be installed python program that suits your symbian phone. Now you can edit your video clips on your symbian imaging device. Cut your clips, add special effects such as slow motion or black and white and combine clips to create your own micro-movies. Add music and transitions between clips to enhance your video. Save your final creation on your phone and share it by sending your masterpiece as a multimedia message or by email. This file includes all language versions in which the symbian phone is available in Europe, Middle East, and Africa. Create the Best Music Player application Nokia Symbian s60v5 is an option I was ttpod application. In addition to skinthat can be ganti2 as we want, which is the main performance is very good. Indeed, I confess to play in louudspeaker was lost. But do not ask if played with a handsfree hmm, soft bass and stereo sound in your ears more nampol. Also available is the lyric is also what if we file menmpunyai lyrics that fit with what we play to win jar application ttpod more than other players, such as that still arise lcg jukebook noise when playing a song. I admit it ttpod quality is the best so far. Other Other depths of shrimp so do not protest with my opinion. If you do not like to be removed aja. If you like to wish you back again and say okay in the comments later. 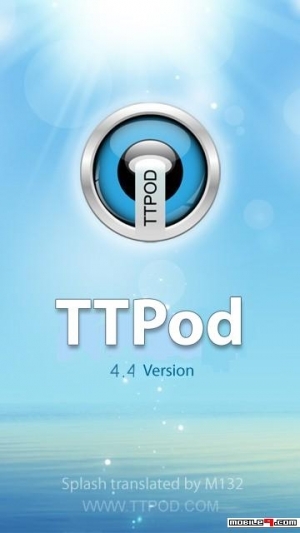 To download applications Make the Best Music PlayerNokia Symbian s60v5 Final ttpod v4.40 s60v5 applications, s ^ 3. is the application of music player/ music playerreliable. Ngage app is a very good symbian emulator that makes your symbian device play ngage format games. This games are Ps1 like games with very good effect. Put your face on a billboard, a stamp, or in a Warhol-like work of pop-art. Become the Mona Lisa or a bodybuilder. You get over 200 scenes to play with. You're not cutting and pasting; instead, the app "finds" the face in your photo and integrates it with the scene of your choice. Smart Settings is an application that lets you alter the user interface of your phone to make it easier to use. The first thing you can do with Smart Settings is associate your favorite phone apps and games to number keys. This allows you access to your apps in two key strokes. The next feature, Easy Unlock, allows you define the unlock keypad combination, and change the "unlock" message that appears on screen too. The Auto Lock feature in Smart Settings allows your phone to lock the keypad after a set amount of time, and choose applications that can override this. This is designed to stop accidental phone calls, a problem most people will have had! In Security, you can choose to extend your phone lock code making it harder for people to guess, and also harder to remember. If you're not happy with your phone's interface, Smart Settings is a neat little application that gives you a bit of flexibility. Personalizing how it works also makes it much harder for strangers to use, so it has some security benefits beyond its security settings. Smart Settings is a great way to customize your user interface and improve its basic security to boot. The best browsers you can get on symbians are Opera Browser and Ucweb browser. As for social apps, that depends on your favourite, as for me, i enjoy 2go, Wechat, skpe, Gravity, whatsapp and facebook messenger. They are many more social meesenger apps you can enjoy. To get the download links to all this apps depends on your symbian version. So if you are really interested in downloading any of them, just drop down your phone model and the app name, and the download link would be provided for you. Hope you really gained a lot from this my write up. Kindly click on the share link below to promote this blog. @codedtinz chiboy, can u pls send me the links for VIDEO EDITOR, FACEBOOK MESSANGER and GRAVITY. My phone model is nokia E71. Thanks!! !